This is part 3 of this series. 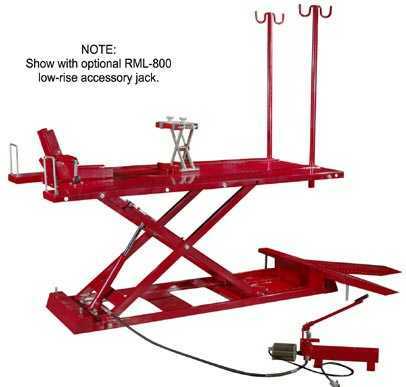 Previous posts dealt with car lifts, tire changers, and floor jacks. This post deals with air compressors. No automotive garage is complete without an Air Compressor of some kind. Most shop owners will spring for a 7.5 HP with an 80 gallon tank. But size should be dictated by the amount of air you require. 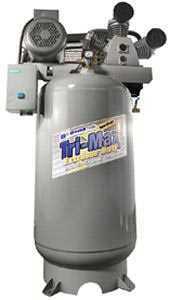 The more technicians and bays you have, the more air you need, and the larger your compressor you will need to be. Don’t skimp when it comes to choosing a compressor for your shop. We’ve dealt with many people over the course of the past 15 years, and we’ve encountered many customers who were looking to save a buck, so they purchased a compressor smaller than they needed. After you get a compressor that is too small is not the time you want too find out that you chose a compressor that is large enough. The only true way to determine the size compressor to get is to take a good look at all of the tools that you will be powering and look at the air requirements of those tools. Add up the CFM requirements of all the tools that may be running at the same time and get a compressor that supplies more air than that. As a guideline, A typical auto shop with a couple of bays will usually get a 7.5 HP reciprocating air compressor, while larger shops will dictate a larger model. Rotary screw air compressors are a better option for garage owners who desire a compressor with less noise and greater longevity, but you’ll need to have a larger budget because they are more expensive. 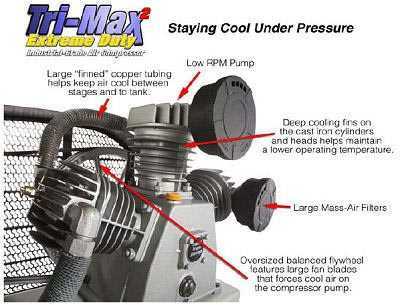 Air compressors are probably one of the most important purchases you can make for your shop. We carry several different manufacturers when it comes to air compressors. And they’re all great, solid and reliable commercial quality compressors. But when it comes to Rotary Screw Air Compressors, nobody has a greater selection of top quality models to choose from than CAS. CAS (Compressed Air Systems) is one of the premier Air Compressor manufacturers in the industry. They’ve been manufacturing quality compressors for decades and we have been carrying them for several years now with overwhelming positive reviews. And for good reason. They’re packed with features, the finest quality components, and workmanship second to none. Plus their prices are extremely competitively priced. You will not find a comparable model when it comes to quality, features and price. Especially right now. All CAS rotary screw air compressors are on sale until the end of March. The benefits of rotary screw compressors over reciprocating air compressors is compelling. The run at lower rpms, with less heat and less moisture buildup, and you can expect greater longevity. They have a higher price than their reciprocating counterparts, but the operating costs more than make up for that. They have a huge selection of models to choose from. They have models ranging from 5 HP all the way up to 50 HP. They are assembled in the USA and they have elite models available with all the bells and whistles, including vibration pads, air / oil cooler, auto tank drain, timed shut down, and much more. Call us today for more information and we’ll set you up with a model that’s right for you.